The Perez Art Museum Miami is the city’s new art museum, designed by Herzog & de Meuron. Vertical gardens barricade the Perez Art Museum, providing much needed shade and heat absorption during Miami’s sweltering summers. The massive windows that line the exterior of the building are the largest hurricane resistant windows in the world. It’s as if current-day architects took a good look at the storied Vizcaya estate that edges the water in the southern part of the city and learned how a century of wear-and-tear transformed Tuscan idealism into tropical overgrowth. The arrival of the Perez Art Museum not only signals a shift in sustainability but also has put downtown Miami back on the map. Three decades after Miami Vice turned this city core into a bloody graveyard at night, museums, hotels, high-rise condominiums, and James Beard-nominated restaurants have arrived on the scene to lure the Miami Beach and Coral Gables crowd back to urbanity. Miami’s Design District and the surprising success of developer Tony Goldman’s vision of a graffiti-saturated Wynwood Walls helped build the foundation for a Miami resurrection. The Perez Art Museum pays homage to the local contemporary art scene by offering exhibitions on design, minimalist art, geometric abstraction, and works by artists of Latin descent. Yet, this is merely the forefront of the recent surge of development. In fact, everywhere you look along the shores of Biscayne Bay are tall cranes and construction. Workers are finishing the final touches on the Frost Museum of Science, adjacent to the Perez, which hopefully is opening this spring after a 2-year delay. Across Biscayne Boulevard is my residence during a recent three-night stay, the 14-story ME Miami, which made its debut last summer. On the next block is the twisting frame of a towering high-rise designed by the late great architect, Zaha Hadid. South of the Miami River in the heart of the financial district, an open-air upscale shopping mall, the Brickell City Centre, opened its doors this past November. 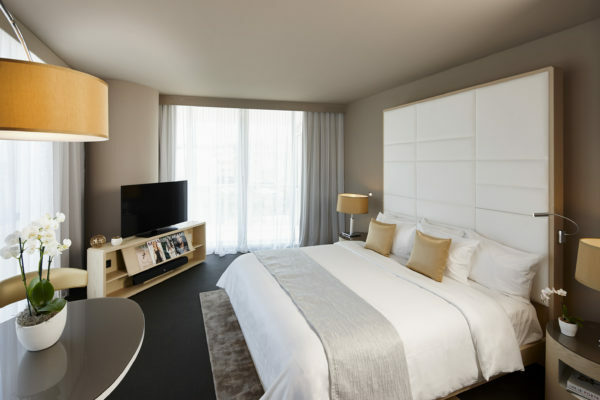 You can stay at one of the 352 guest rooms at the spanking new EAST Miami hotel, shop at Sak’s Fifth Avenue and other high-end stores, catch a flick, and dine at local favorites like Pubbelly Sushi, where we ventured on our last night to devour the innovative and fresh sashimi and sushi dishes. The real gems of this gentrifying neighborhood are a bit harder to find, like The Corner, a prohibition-era style hole-in-the-wall situated at the end of a deserted street. Mixologists create tequila-infused cocktails to the after work crowd. Sit outdoors and order at the take-out window or grab one of the half-dozen seats at the bar to be transported back to Miami, circa 1922. One bite of the charred squid at the intimate Niu Kitchen on 2nd Avenue and you’re back in Barcelona. It’s no surprise that celebrity chef José Andrés dined here before opening his own Miami Beach outpost, The Bazaar. Try the dish called ous, a scinitallating mess of poached eggs, truffled potato foam, jamon iberico, and black truffle, and you’ll understand why the restaurant made the James Beard Awards semifinalist cut. 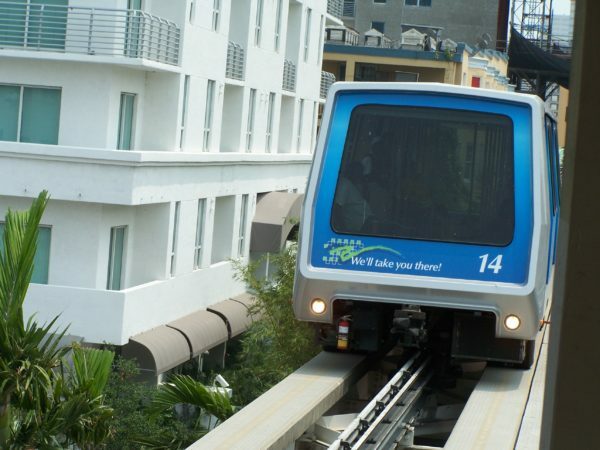 After dinner, we simply walked upstairs and took the Metromover, a free electrically powered fully automated train that runs on a 4-mile grid throughout the downtown corridor. A visionary named Walt Disney once used this type of transport to move visitors through Walt Disney World. Now that Miami’s version of the monorail is being utilized by an ever-increasing population downtown, the future looks bright. 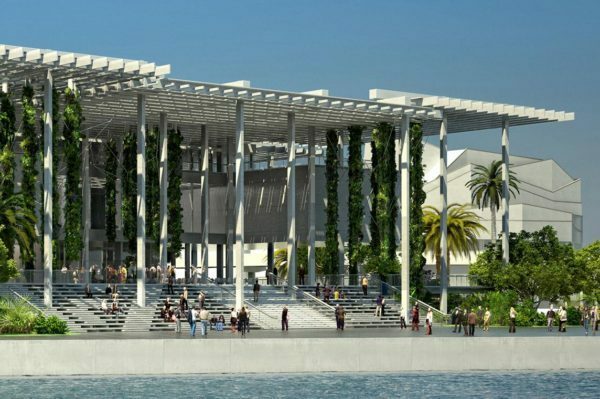 The Perez Art Museum Miami is the city's new art museum, designed by Herzog & de Meuron.